Some time ago the CEO of a Dublin based charity contacted me. The charity had put a Protected Disclosure / Whistleblowing policy in place and appointed two members of their board as ‘Protected Disclosure Managers’, in other words, the people named in the policy as those to whom internal protected disclosures could be made. These two board members had very sensibly insisted that they needed training in this area to ensure understanding of the Protected Disclosure Act and to enable them to carry out their duties effectively should anyone contact them to make a disclosure. At a time when the spotlight has been on scandals to do with charities and ineffective boards it is easy to forget that there are many people selflessly giving of their time and skills and acting in a highly responsible manner to ensure good governance of not-for-profit organisations. Our initial proposal of a full day’s training to include understanding of the Act, best practice in dealing with disclosures and role play of scenarios was cut back to a half day due to limitations on time availability of those who wished to attend. So I prepared a four-hour session looking at understanding the Act and best practice in dealing with disclosures with some test scenarios tucked in my back pocket should we have any time left over. 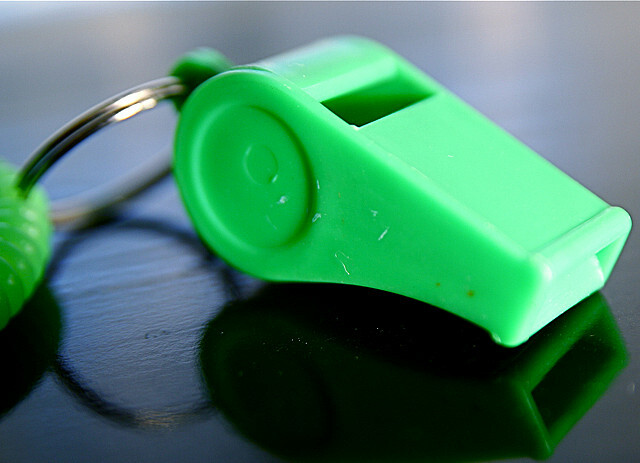 I also reviewed the organisation’s Disclosure / Whistleblowing policy and I was able to offer some suggestions as to how the first iteration of the policy might be improved. The board members nominated as Protected Disclosure Managers attended the session along with the CEO of the charity and CEOs of some other local not-for-profit organisations. The CEOs recognised their need to understand what was involved in the Protected Disclosure Act, that they might also be the recipients of disclosures and that they had a responsibility to understand their obligations towards protecting people in their organisations from reprisal due to a disclosure. Whilst I initially suggested sharing the session with another organisation as a way of spreading the cost of training it had a more valuable outcome, which was the sharing of knowledge, ideas, incidents and questions by people with varied experience and deep knowledge of their respective sectors. I facilitated the session as a round table discussion guided by the key points in a tailored workbook that I had prepared for participants. The discussion forum was useful as people could look for clarification on issues or questions as they arose. There were lots of ‘What ifs?’ which we were able to pick apart in light of the Protected Disclosure Act and discuss how to be in line with best practice. Unsurprisingly with such active participation and involvement we never did get to those role-play scenarios in the four hours. All participants fed back that they had gained a lot from the session with the only potential improvement being some scenario role-play as suggested in our initial proposal. A plan is in train to deliver this in another half-day session at a later date. It’s a privilege to spend some time with such a dedicated group of people and to feel that you are helping them a little in the difference they are making to a lot of lives. Experience has shown us that wrongdoing uncovered by people brave enough to speak up helps us all. It’s needed in all sectors of society and I look forward to helping other organisations, both not-for-profits and businesses, prepare their people properly for the responsibilities imposed by the Protected Disclosures Act 2014.